It is always a good day when the Queen Beyoncé releases some new material, even if it's just a small feature. I mean, Drake is good on his own too, but Beyoncé. In May of this year, a version of the track they collaborated on, "Can I," was leaked on the web, and of course, people were fiending to get another taste. The track is meant to be from his Views From The 6 album, and we just finally got a taste of the final product. This is not the first time that the two megastars have collaborated, so I wonder: Are Drake and Beyonce good friends outside of the studio? I think it's only logical that I would wonder this, because they obviously have an incredible chemistry while working on music. They also frequently run in the same circles in the upper echelon of the music industry, because not many people can touch Jay-Z, Beyoncé, and Drake, to be honest. Throughout the years, they have been photographed greeting each other at awards shows and hanging out at basketball games, so it's safe to say that there is a mutual respect and likely friendship going on between Drake and Bey. Drake also told Seacrest that he and Bey were working on music together. He said, “I reached out to her and asked if I could come and be a part of her project and she was kind enough to invite me out there. And we did some work together.” Getting invited to record with Bey seems like something very few people can check off their lists, so he did something right. 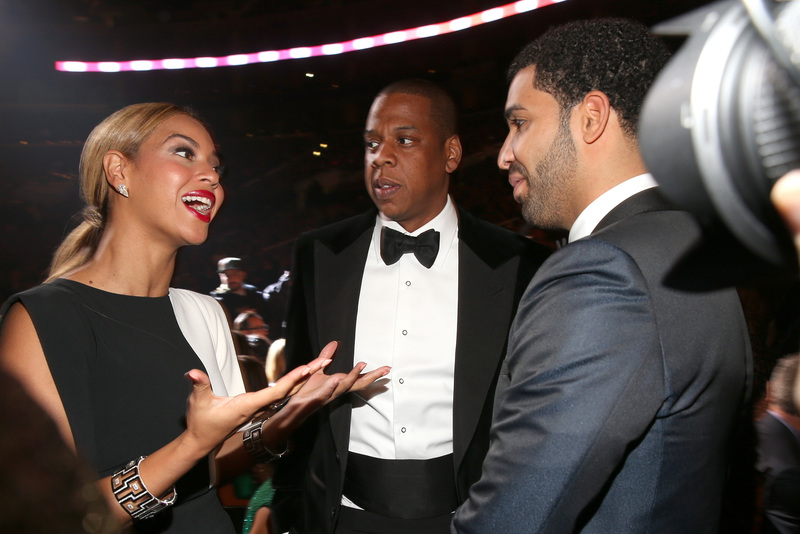 They have also been pictured having some fun at the 2013 NBA All-Star basketball game, where Drake playfully served Jay-Z and Beyoncé their drinks, courtside. Alright, they're friendly enough, so it's time for them to get to work on more surefire hits together. Please?